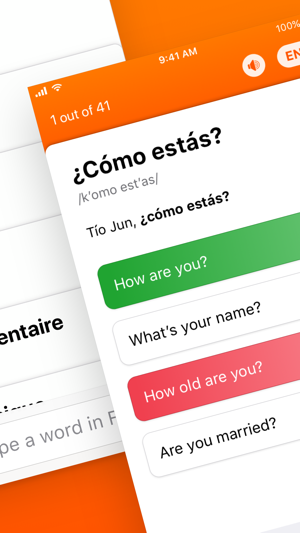 Reji is an all in one solution to keep and efficiently learn vocabulary in 48 languages. 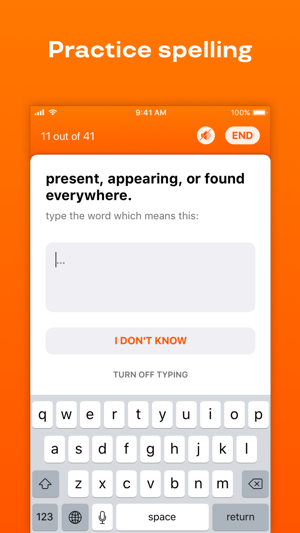 Reji allows to save new words from language classes, movies, books, articles, and learn them using spaced repetition. With Reji, you no longer need to juggle a dictionary, a translator app and a notebook. It's all in one. 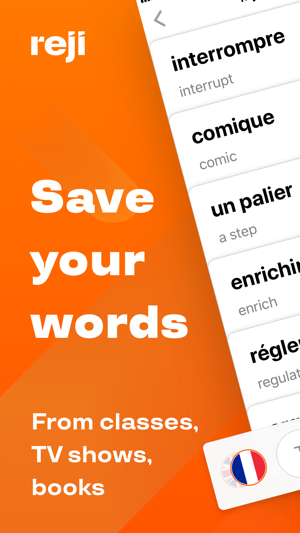 Just type in new words in the app, it will look up translations, definitions and images automatically. Spaced repetition allows to learn hundreds of words in a matter of weeks. It reminds you to repeat learned words at certain intervals to retain them forever. 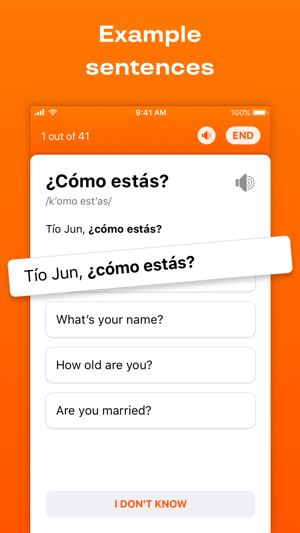 Besides spaced repetition, while running Reji's learn mode, you'll hear correct pronunciation, see example sentences to understand words in a context, and practice spelling with type in questions. 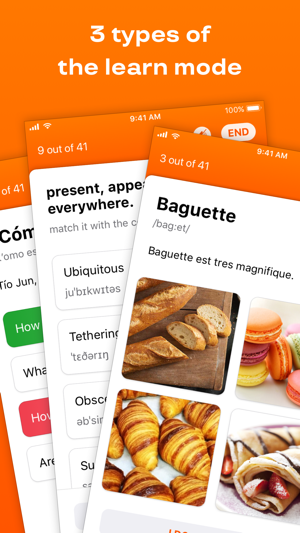 Reji is a perfect companion for those language learners who are tired of learning vocabulary on stacks of paper, which is hard to have by one's side, inefficient to learn, and hard to find. 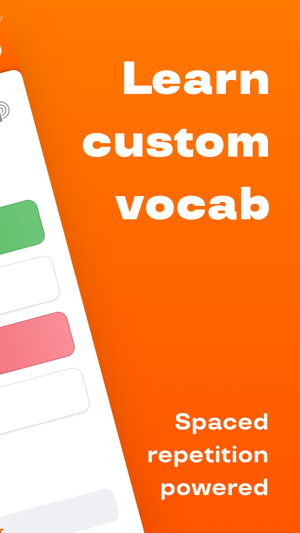 Boost your vocabulary now and try Reji absolutely for free! This one’s a massive usability update. We picked up the most popular feature request from our community: search in decks. Now, it’s possible. We also made the entire app way smoother and faster. When you collapsed Reji, it could lose its state after re-opening, now it preserves the state. Decks open faster now. When downloading a shared deck, it would have duplicated previously, now it’s fixed. I love it! I love the quizzes and the flash cards, however I have two things I’d like to be improved. 1. The gif picture options are very little, and often I’m not able to find an appropriate picture for the definition of the word. Many words I need to make flashcards for have multiple meanings, but often it will give only one meaning in all the different gif pictures. 2. I’d really like to have a deck that can be mixed in the options for picture/gif and definition. It’s sometimes difficult when the word I’m making a flash card for is a complex concept, but is within the same grouping genre as a gif deck. 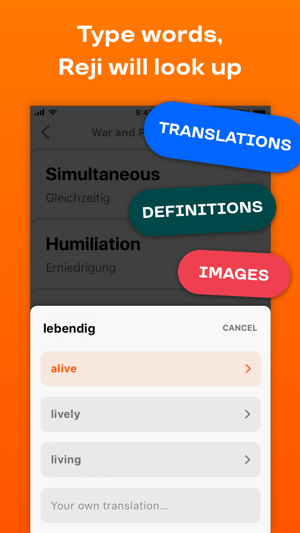 We're planning to make you able to attach translations, definitions and images to one word very soon. If you'd be interested to be the first to try it (beta version) - please ping us at contact@twopeople.co with a "Reji Beta" subject line. The app is great. 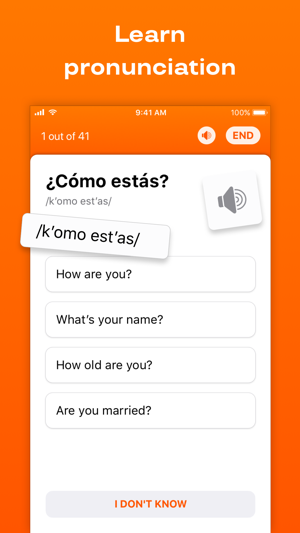 I am an avid language learner and it is the first flash card app that has really worked for me. Its queueing algorithm is quite helpful in determining which words I need to review. The only problem I have run into is that the suggested translation between two non-English languages seems to always go through an English dictionary first (at least on my languages). This often gives strange suggested translations, since English words often have many meanings: “kind” is “a kind of X” and not in the meaning of “be kind to others”. “Balance” as in “you have good balance” not as in “bank balance”. Etc. Maybe it is not the case for all languages, but it has been a challenge for going “Asian language to Asian language”. For me still worth it - just means I have to double check many words in a dictionary app, so flash card creation speed is impacted. Hi, thanks for pointing out! Can you please tip us at support@reji.me which languages are affected? We'll try to improve the quality of suggested translations. 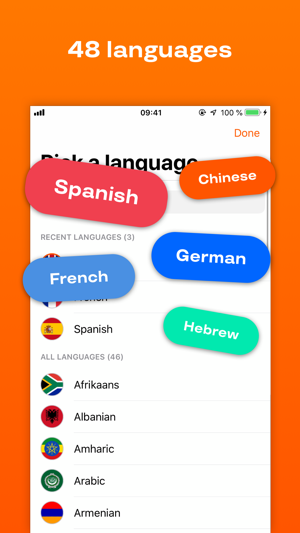 This app is excellent for beginning learners for most alphabetic languages, and is perfect for Chinese learners, but the Japanese learners have to look elsewhere for a useful tool. The system uses romaji for the phonetic description of Japanese and automatically converts hiragana into Kanji, so if you want to learn to read kanji you have to either look at the romaji (making your Japanese reading skills worse) or listen to the recording- which all too often is a vocaloid. Unless you can choose to have the romaji replaced with a hiragana transcription, this app is not with it for Japanese learners. Hi, we improved Japanese IPA in the recent version (2.5.2).